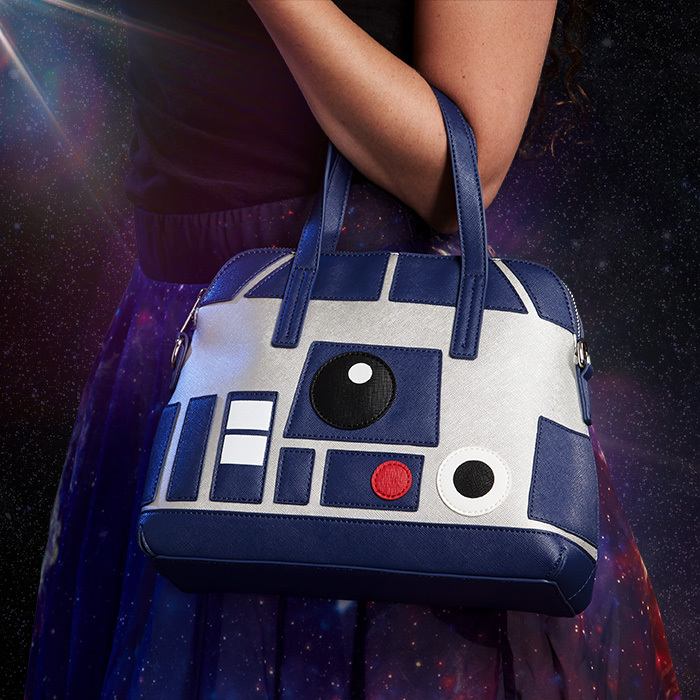 Star Wars R2-D2 Faux Leather Convertible Purse – AWESOMAGE! When you’re carrying something super-important, say, your car keys or your eReader or the plans to the Death Star, what would YOU use to carry them? Take a tip from a Rebel princess: astromech droids are the best. Store your valuables in this little R2 unit, and you’ll never have to worry again about them getting there safely. That’s its job. This little Star Wars R2-D2 Faux Leather Convertible Purse comes with a combination of navy blue, white, and grey faux Saffiano leather. It has double handles plus a removable and adjustable shoulder strap so you can tote it around however works best for you. You have to provide the bloops, beeps, and happy whistles.